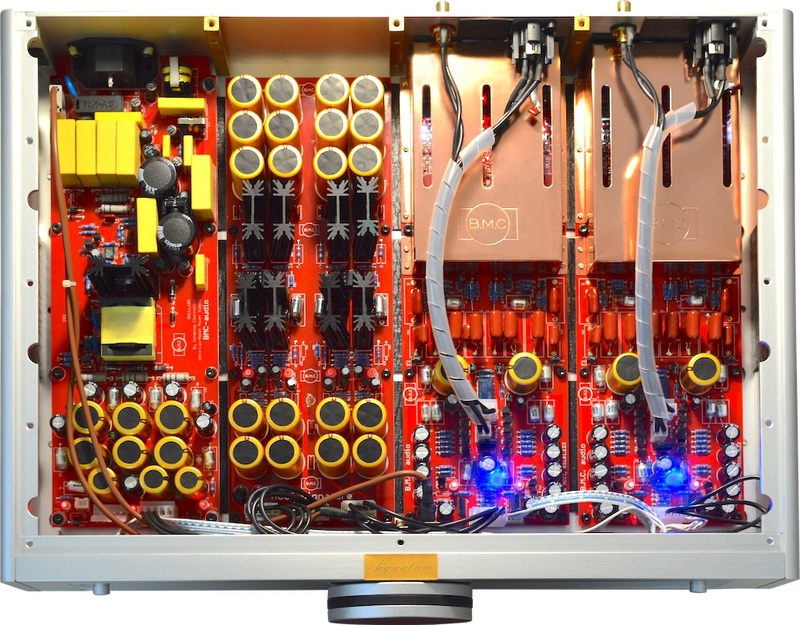 This was Michael Fremer’s conclusion in Stereophile, in June 2013, remarkable as his resident reference is the Ypsilon VPS-100 costing nearly five times the price. A key reason for its superb performance is its unusual current input. Then in 2017 the MCCI was substantially improved, including major changes to the power supply. Expect an incredibly quiet background, huge dynamics and energy, state-of-the-art detail retrieval and a walk-in sound stage – from a design that uses current input rather than voltage input from the cartridge. This radical departure from convention avoids vinyl’s Achilles heel – amplifying noise from cartridges supplying only micro-volts. Here’s a copy of the Stereophile review. Like most thoroughbreds, in any field, the MCCI delivers its best when suitably matched to MC cartridges with low internal impedance such as those from Lyra and My Sonic Lab. B.M.C. can advise. The new power module is second from the left. Compare this with the picture in the review.